It’s been a formidable end of the year for The Royal Mint Team. Today’s news cleaned up in every major national newspaper as the team hit the phones and the wires to announce the UK’s first coin with a face value of £100 to be sold for the princely sum of … £100. Bearing a design depicting London’s Elizabeth Tower (which contains Big Ben), there seemed no better time to launch than a couple of days ahead of New Years Eve. Obvious when you think about it. The media agreed with stunning pieces hitting across BBC News, BBC Newsround, ITV News, Sky News, the Daily Mail, Daily Express, Daily Mirror, Metro, Evening Standard, Independent, City AM. This morning, meanwhile, it made all of those that published alongside the Daily Telegraph, The Times and The Guardian. 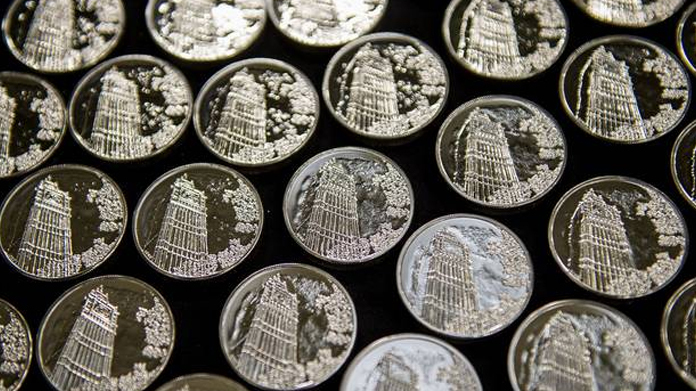 Pretty much all of them contained the messages we wanted – that The Royal Mint has been marking major occasions with beautiful, collectable coins for the last 1,000 years – and that they use the time honoured design skills alongside cutting edge technology to create these mini-masterpieces. Doesn’t get better than that when it comes to a spot of publicity. What’s more, we’re told that the coins are selling like hot cakes. The power of a cracking story neatly executed by a top team of publicists.